On the bandstand an hour later, the trio received raucous applause from a packed house consisting primarily of baby-boomer-and-older “normals” who barely responded when the emcee announced Cables’ name. That changed after Cables, undaunted by the arena-level bass amplification, expertly addressed Clarke’s “3 Wrong Notes.” On that barely disguised contrafact of Charlie Parker’s “Confirmation,” he sculpted a melodic path through the changes at race-car velocity, interpolating his own voicings and building an arc that climaxed with rhythmically assured 16- and 32-bar exchanges with White. During “On Green Dolphin Street,” which proceeded to a “Poinciana” beat, Cables showcased the finely calibrated touch and harmonic savoir faire Clarke had referenced. He reharmonized Henderson’s “Recorda-Me,” on which he toyed catlike with the time, generating multiple choruses of fresh ideas. Each declamation provoked proportionally louder applause, but you could hear a pin drop after Cables completed his solo on “Helen’s Song,” an elegant, tender tone poem for his late soulmate, Helen Wray, that he first recorded in 1984, on a trio album with Clarke and drummer Peter Erskine for the Japanese market. In sum, Cables, who turned 71 four days after the gig, displayed the same qualities that consistently infuse his 30-plus recordings as a leader. The most recent of those is 2015’s In Good Company, the third date he’s completed for HighNote since he endured and recuperated from a simultaneous liver and kidney transplant procedure in the fall of 2007. Like its predecessors, Icons and Influences and My Muse, In Good Company is a swinging, probing, endlessly melodic trio recital, on which bassist Essiet Essiet and drummer Victor Lewis navigate repertoire by Ellington/Strayhorn, John Hicks and Kenny Barron. 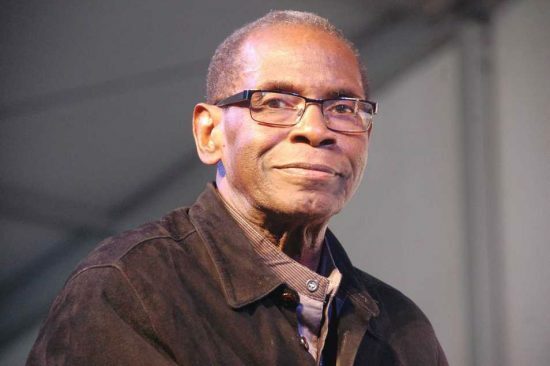 By 1968, Cables, Houston and White were getting local work as a rhythm section, including a stand with Woody Shaw and Booker Ervin at a club in Westbury, on Long Island, and another with Jackie McLean at Slugs’, where, in 1969, Cables debuted with Art Blakey and the Jazz Messengers. 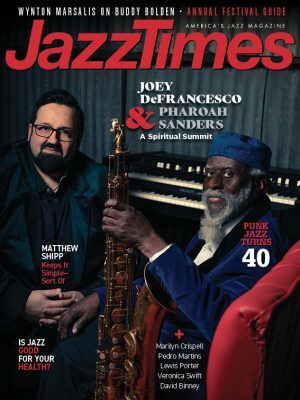 In May of that year, he cemented his position in the big leagues when Sonny Rollins took him to Los Angeles for an extended engagement. “The feeling of swing and the touch was there,” Cables recalled. “I adjusted, adapted and learned how to use my voice. You can touch the piano a million different ways and get a million different sounds. Herbie opened doors for me. I loved his sound, and I’d sit at the piano and try to figure out his voicings. His Blue Note records and the ones with Miles were real lessons. One day I was listening to something from Takin’ Off, and I realized that he got the voicing I was looking for with two or three notes in his left hand. That was so helpful to me.